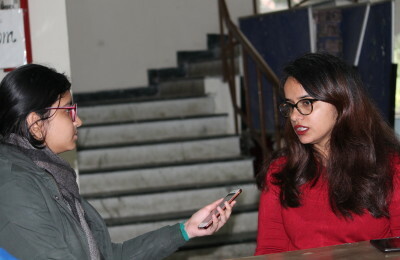 The team of students from the College of Vocational Studies (CVS) has launched an innovation project to show that the process of placement carried out in Delhi University needs to undergo a substantial amount of change, in order to match the level of the process carried out in foreign universities. The research process focuses on innovating and redefining the parameters of the placement programs in colleges under the Delhi University. The research project will study the scenario in selected colleges of the university and the Central Placement Cell, by taking the College of Vocational Studies placement cell ‘ASPIRE’ as its pilot study and try to find better standards of operation in the placement process. The Central Placement Cell of the University, although successful, is not operating to its full potential. The gaps need to be filled and a better response in terms of competing with the best universities needs to be created. The study, now in its analysis stage, plans to conduct two kinds of survey to assess the factors related to college placements. The first survey will be conducted on the students of University of Delhi, the pilot survey studying the needs and aspirations of the student as far as the industry is concerned, the kind of jobs being offered and the pay packages being given. The second survey will study the Industry trends of hiring students of University of Delhi. The students plan to use both qualitative and quantitative techniques of data analysis. A structured questionnaire and unstructured interviews of the respondents, both will be used.